Harvard University Press, 9780674776616, 184pp. Since ancient times, men and women have dreamed of soaring among the stars, but only in this century has that dream been realized. In Rockets into Space, Frank Winter tells the fascinating story of the modern launch vehicle, from the mythological musings of the Babylonians and Greeks to the present-day reality of manned and unmanned space flight. In concise yet comprehensive chapters dense with anecdotal detail, Winter tracks the theoretical formulations and technological breakthroughs that have charted the evolution of rocket propulsion and vehicle design. He pays particular attention to the remarkable contributions of pioneers Konstantin Tsiolkovsky, Robert Goddard, Hermann Oberth, Eugen S nger, and Sergei Korolev, whose genius and vision paved the way for later innovation. He describes the clandestine development of the V-2 rocket in Germany, under the technical leadership of Wernher von Braun, and its dramatic impact on postwar rocket research and satellite development in the United States and the Soviet Union. He also chronicles the complex events of the last three decades, which have produced ever more sophisticated rockets capable of launching larger payloads, from weapons to weather and communications satellites. Finally, he surveys exotic propulsion systems--nuclear, electric, solar, photon, laser--that lie on the frontiers of science today but that will shape the spaceflight and space policy decisions of tomorrow. 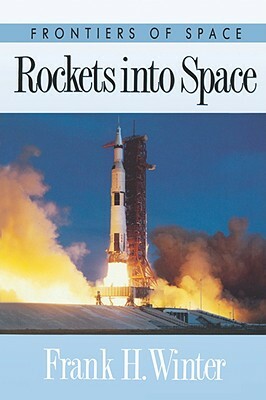 Rockets into Space is an authoritative, entertaining guidebook for all who are interested in the history of space travel.